Spend time in port in Skagway enjoying a full-day shore excursion into the Yukon, Canada's westernmost territory. Explore some of North America's most stunning wilderness, stop for lunch at Caribou Crossing, a wildlife museum, and visit a dog-sled camp, where you can meet the adorable huskies preparing for the Yukon Quest dog sled race. 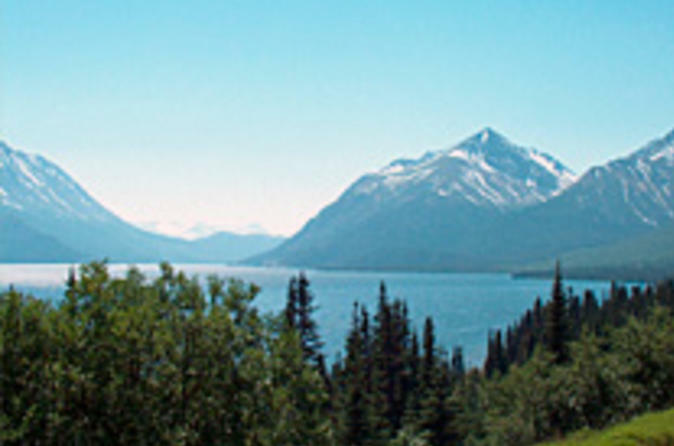 Be prepared to stand in awe of natural beauty of southeast Alaska, British Columbia and the Yukon Territory on this Skagway sightseeing tour. Make your time in port complete with the addition of summer dog sledding. You'll be guided by an authentic musher on a thrilling 15-20 minute wheeled training cart along a forested trail, which was once traveled by the Gold Rush stampedes. All passengers must have a valid passport. When your cruise ship docks in Skagway, enjoy a shore excursion to see the best sights of the city, and take in the views from the majestic White Pass Summit area. 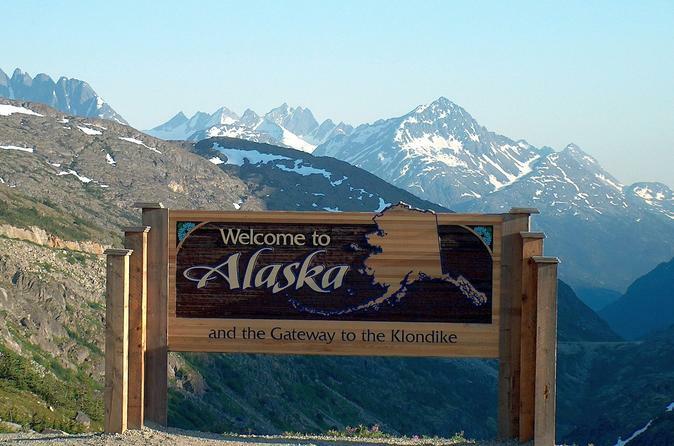 Following the Klondike Highway, you'll have the opportunity to photograph the Gold Rush Cemetery, Skagway Scenic Overlook and the "Welcome to Alaska" sign. 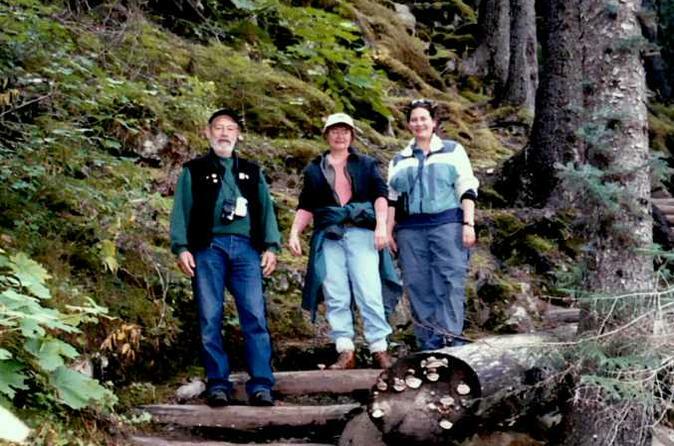 The Chilkoot Hike and Float Tour is a great family-oriented hiking adventure along the world famous Chilkoot Trail. This wilderness hike takes place in the heart of the Klondike Gold Rush National Historical Park and is Skagway's most affordable hiking and rafting adventure tour. When your cruise ship docks, depart Skagway for a 10-mile (16 km) van tour along the coastline to the Chilkoot Trail trailhead and then enjoy 1.5 to 2 hours of hiking and 45 minutes on the raft. Have your camera ready for occasional wildlife sightings both on land and in the water. Perfect for a short time in port, this Skagway shore excursion will show you a glimpse of Canada's legendary Yukon. On this half-day tour, you'll cross the border into Canada and drive along the Klondike Highway in British Columbia. As you travel, you'll see local landmarks and maybe even spot native wildlife roaming the spectacular scenery, including moose, bears, birds, mountain goats and more! 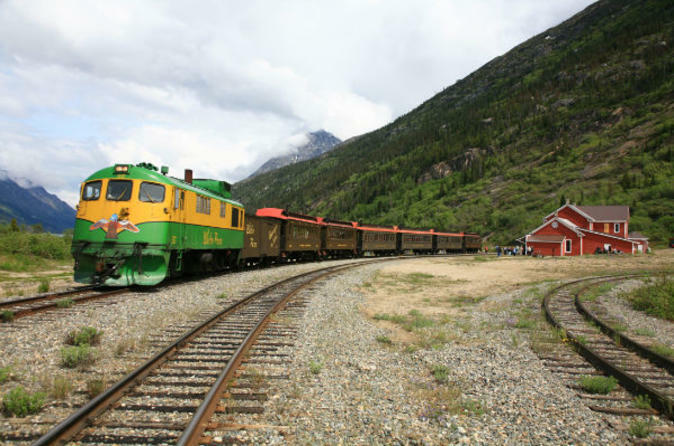 While in port in Skagway, hop aboard a replica vintage Gold Rush-era train for a scenic journey through the great Alaskan and Canadian wilderness. 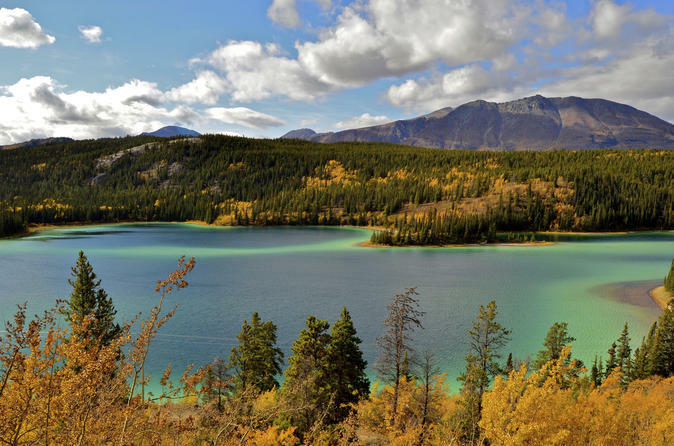 Traveling along the White Pass and Yukon Route Railway – an International Historic Civil Engineering Landmark – enjoy beautiful views of mountains, waterfalls, glaciers, rivers and plains on your way to Carcross in Yukon. Stop for a visit at the exclusive Bennett Station House museum, capture photos of Emerald Lake, and enjoy entertaining commentary from your guide on the way back to Skagway. 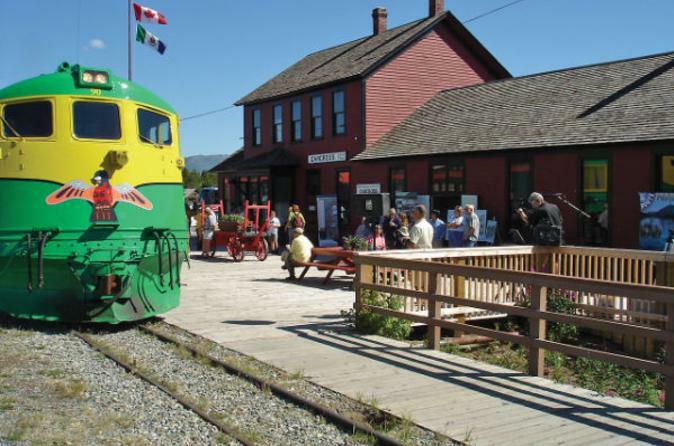 Hop aboard a vintage Gold Rush-era train for a scenic journey from Skagway through the great Alaskan and Canadian wilderness. Traveling along the White Pass and Yukon Route Railway – designated as an International Historic Civil Engineering Landmark – enjoy gorgeous views of mountains, waterfalls, glaciers, rivers and plains on your way to Carcross in Yukon. Stop for a visit at the exclusive Bennett Station House museum, snap photos of Emerald Lake, and enjoy entertaining commentary from your guide on the way back to Skagway. 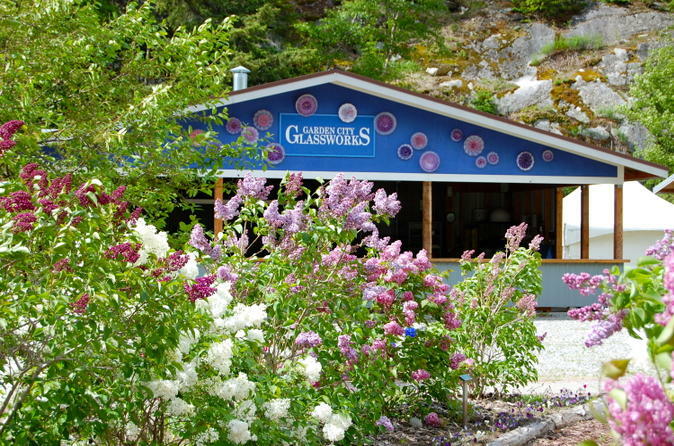 Visit Jewell Gardens in Skagway for a memorable glassblowing demonstration and garden tour. More than just a glassblowing studio, Jewell Gardens is home to an organic vegetable and flower garden, which often serves as inspiration for the artists. 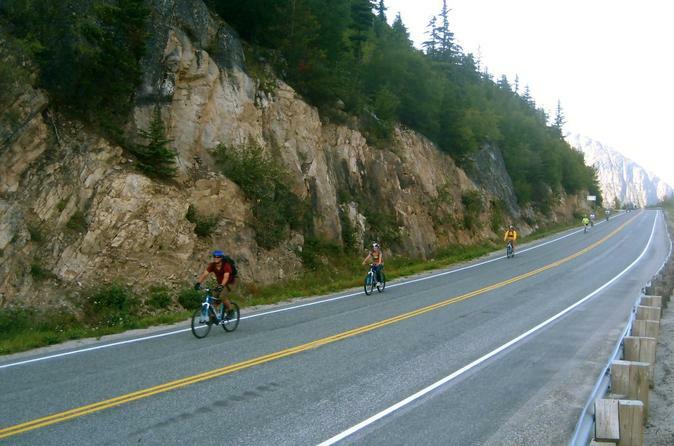 This is a great way to spend a couple of hours in Skagway between your outdoor Alaskan adventures. 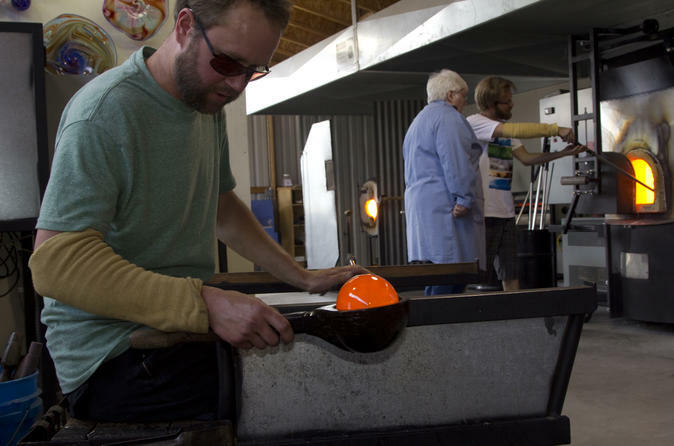 While you’re in port in Skagway, learn the ancient art of blowing glass at Jewell Gardens! After watching a demonstration by an experienced glassblower, you can blow your own glass ornament to take home — a memorable souvenir of your Alaskan cruise. You’ll also have time to tour the organic flower garden and explore the glass gallery, where spectacular pieces of hand-blown glass are on display. The lesson is limited to six people, ensuring you enjoy a small-group experience. 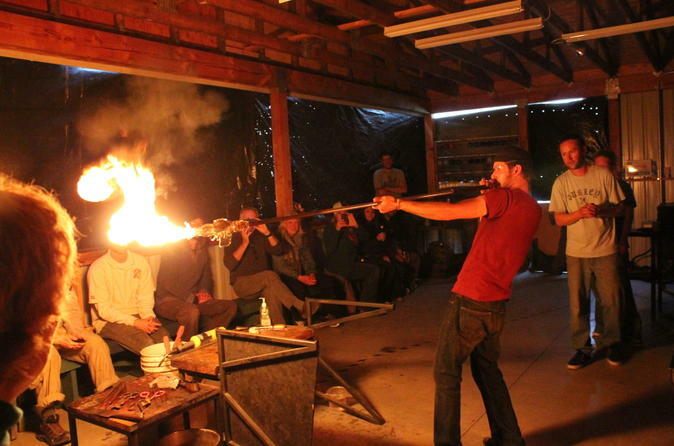 While you’re in port in Skagway, visit a local glassblowing studio, Jewell Gardens, for a glassblowing demonstration and tour. Glass isn’t the only focus, though; Jewell Gardens also boasts an organic vegetable and flower garden, which often gives inspiration to the artists.